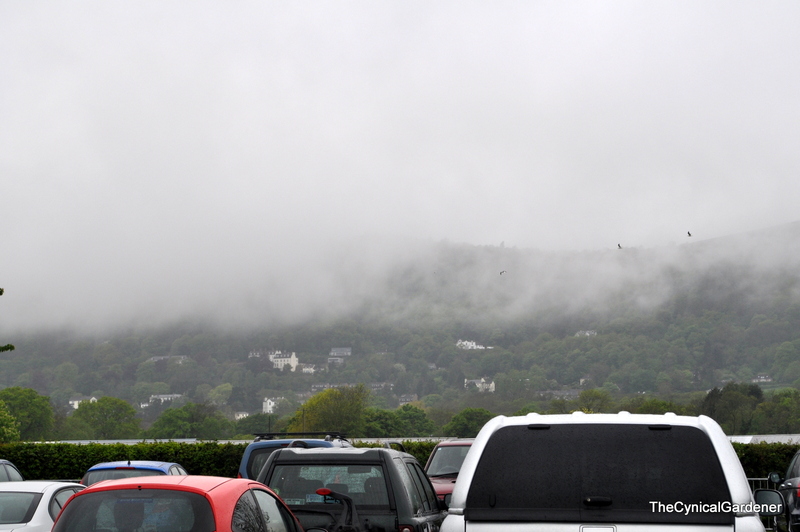 Thursday May 8th, the preview day at the newly re-named Malvern Spring Festival, the rain poured from the sky moments after the doors opened and the show ground started to turn into a bit of a bog. 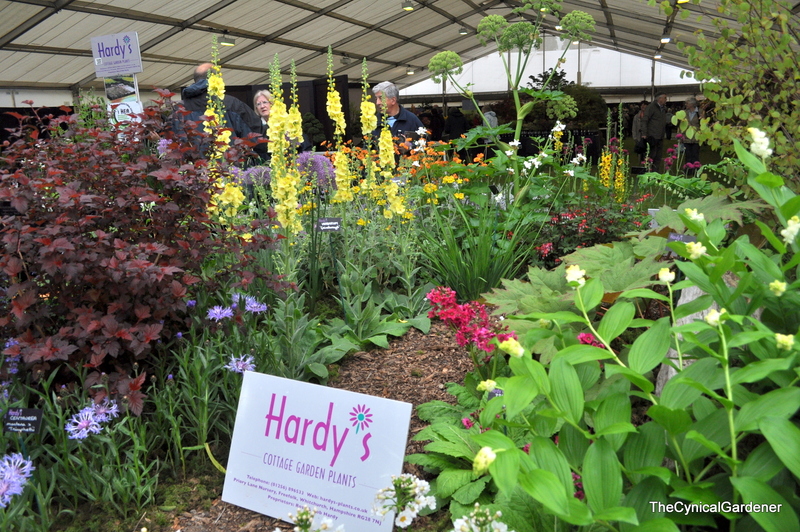 However I came prepared with big boots and rain coat, as the show has been re-designed I was delighted to discover the Floral Marquee, which is where the majority of the Nurseries were situated, has been re-sited next to the carpark I was using. It was wet, breezy and dull due to low cloud outside, but inside the Marquee the Nurseries had excelled themselves with displays of wonderful plants. 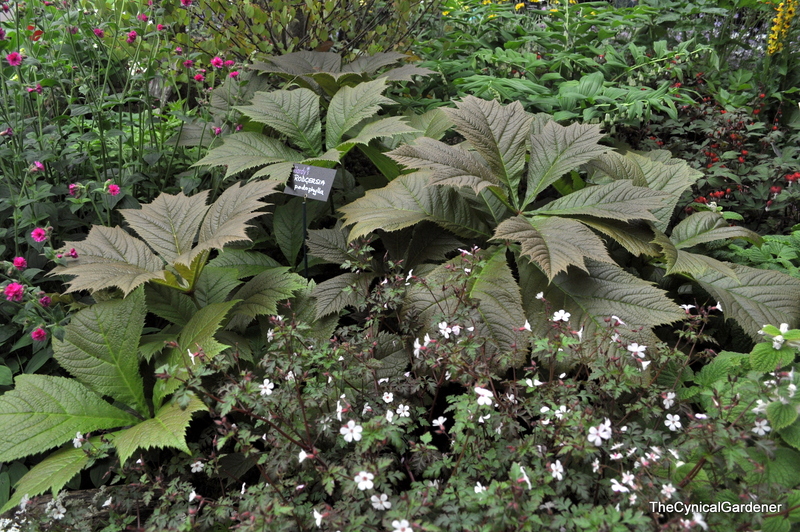 I’ve always wanted one of these Rodgersia plants, but I just don’t have the suitable conditions for it to thrive. I will just have to admire it from afar for now. 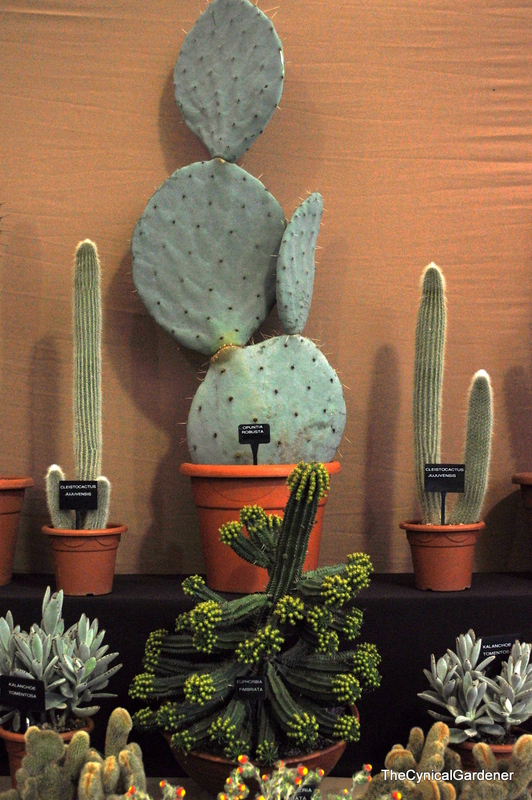 Lots of fabulous cacti and succulents on display and for sale. I had a small shopping list that I wanted to try and keep to, buy some plant supports, buy the Abutilon that I wanted, Buy some variegated Cannas, and most importantly, don’t buy any more Hostas.! I found the Abutilon Nursery I was looking for that stocked my plant and purchased Abutilon ‘Patrick Synge’ that I first saw at Gardeners World Live in 2013, but forgot to buy, I then discovered the nursery selling the plant did not do mail order, so I would have to visit a show that they were exhibiting at. Luckily this was one of them. 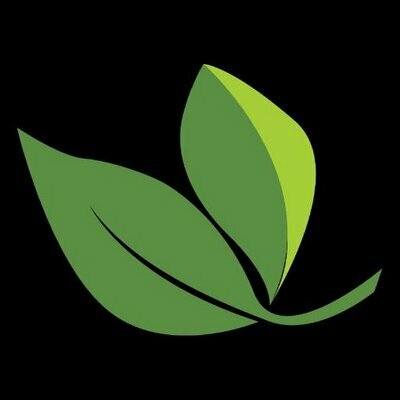 I purchased the plant from T3 Wall End nursery, I also got lots of good planting advice from the seller. So that was 1 item down on my list, I spent a good hour wandering around the Nurseries, and squelching around the waterlogged areas due to the rain coming down. I spotted this wonderful display from Avon Bulbs. A well deserved Gold award. 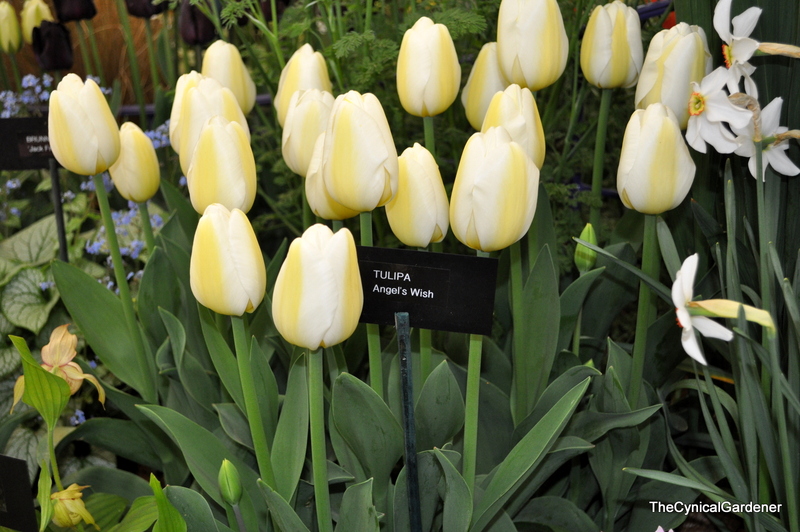 And I noticed this lovely creamy Tulip was very well scented. 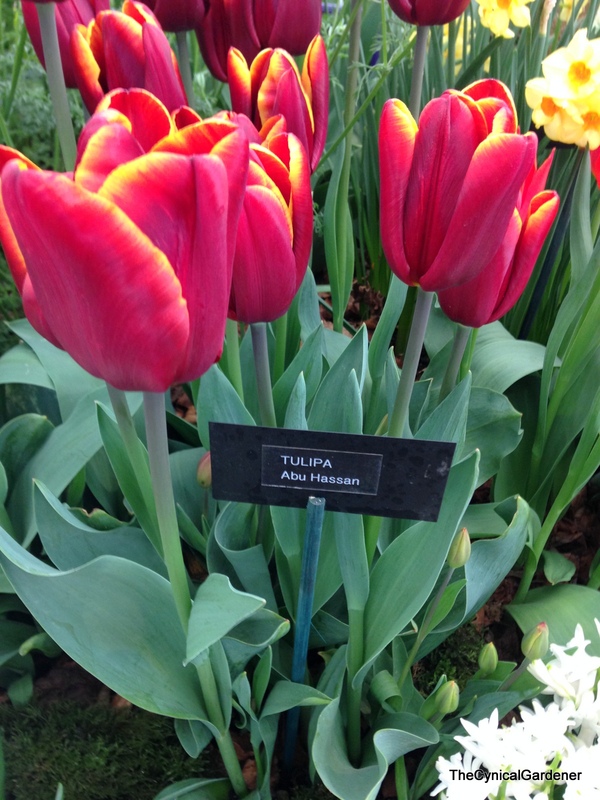 Another favourite Tulip of mine, which I have yet to actually plant in my garden is Abu Hassan. I spotted a lovely Hosta, but knew I had to resist, or did I.. ;-). 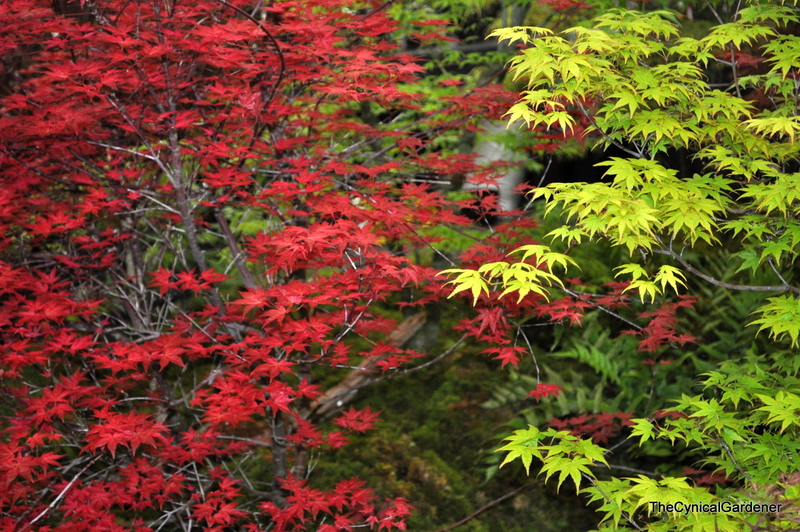 There were stunning Acers on display. 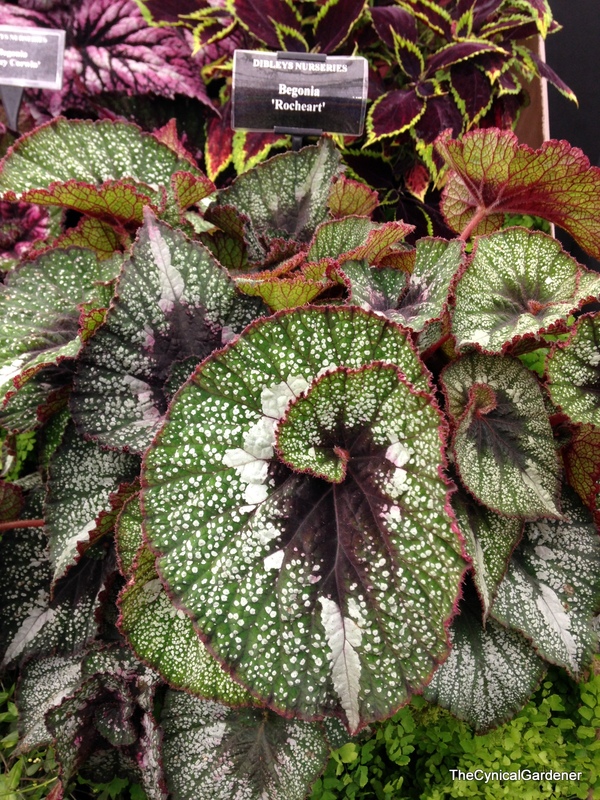 Dibleys Nurseries had a stunning display of Begonias, Coleus and other tender lovelys. And I saw a rather unusual Coleus with strap-like leaves. 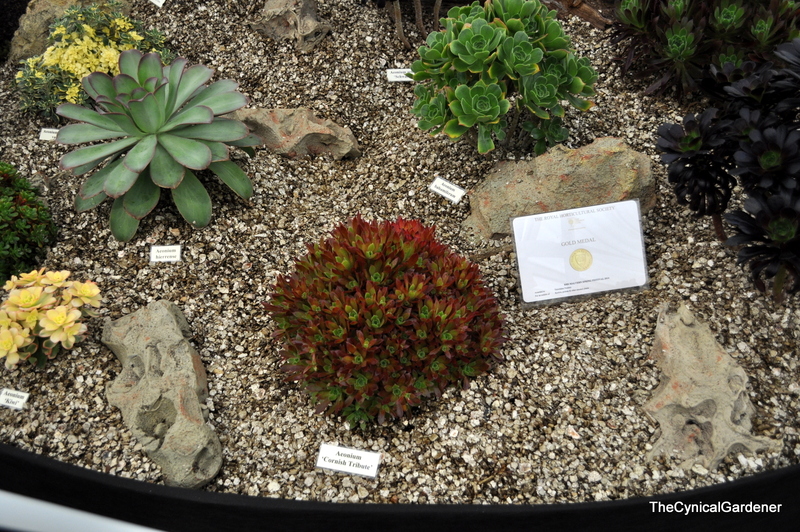 A lovely display of succulents from Trewidden Nursery. 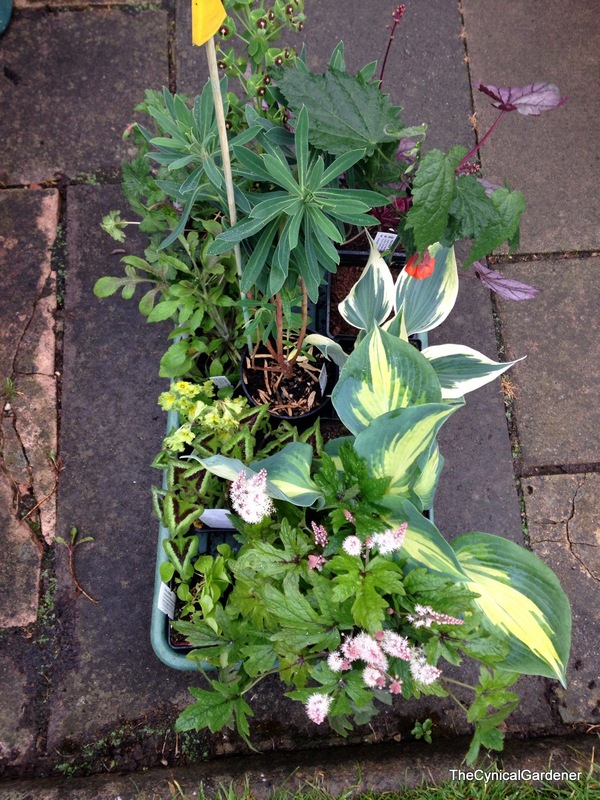 I also found a first timer at Malvern who was very busy and selling lots of plants. 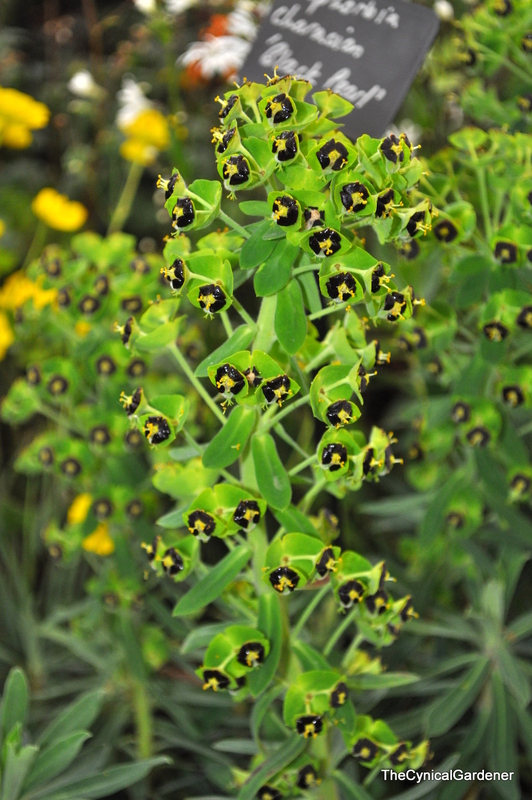 I bought a lovely Euphorbia that I had spotted a few days before mentioned in a Gardening Magazine and secretly coveted. Now I just need to find somewhere where this plant will do well, full sun and free draining not always an easy combination to obtain. I also came across this rather striking Purple leaved Heuchera. It was on the Plantagogo stand and was selling fast, I’ve never really warmed to Heucheras before but I did buy a plant, and hope mine will grow into a nice purple mound like the display plant above. 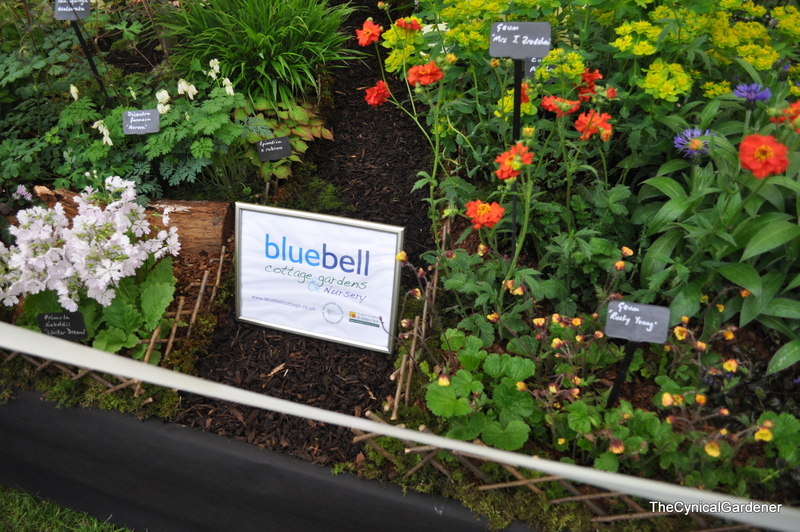 Whilst I was wandering around the showground, trying to stay dry, I kept coming across the presenters from Gardeners World TV show who were filming the plants. 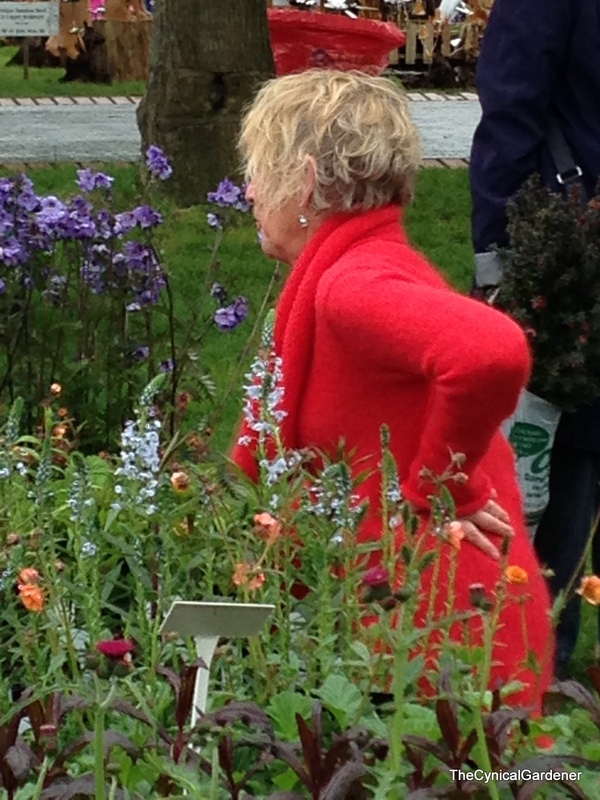 One of my favourite presenters, Carol Klein, who was wearing a very striking red top appeared almost everywhere during the day filming. Here is Carol filming a segment on Polemoniums. In Between rain showers I managed to get a good look around all the outside stalls, but I was unable to find exactly what I wanted as plant supports, I did however find a rather striking bit of garden sculpture…..
Not somthing I think I want in my garden. I battled through more showers, and made quite a few plant purchases, I found some Variegated Canna Rhizomes for sale, bought a few nice plants, and slowly got wet. I decided to make a move home slightly earlier than planned, due to me buying quite enough plants, and the prospect of motorway driving in the heavy rain. Hosta Dream Queen…. (Yes a Hosta!). 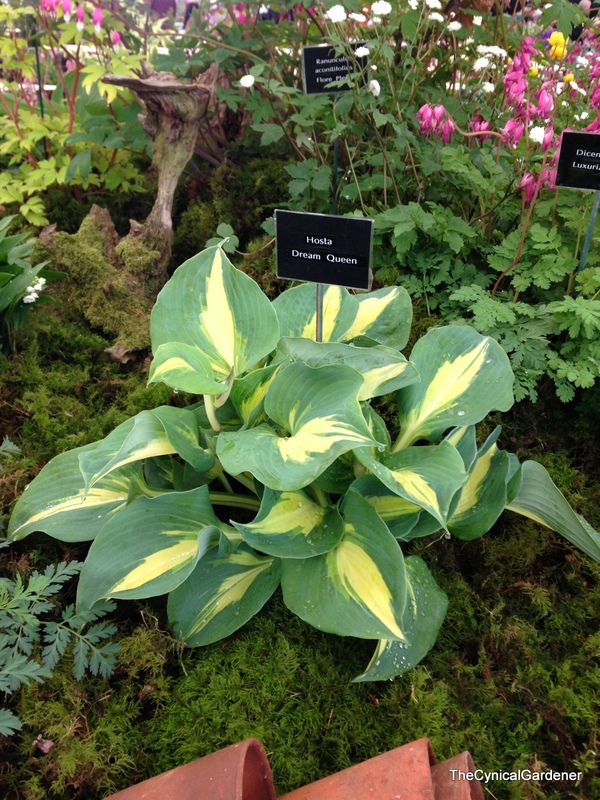 Hosta ‘Firn Line’…. (Yes another Hosta!). 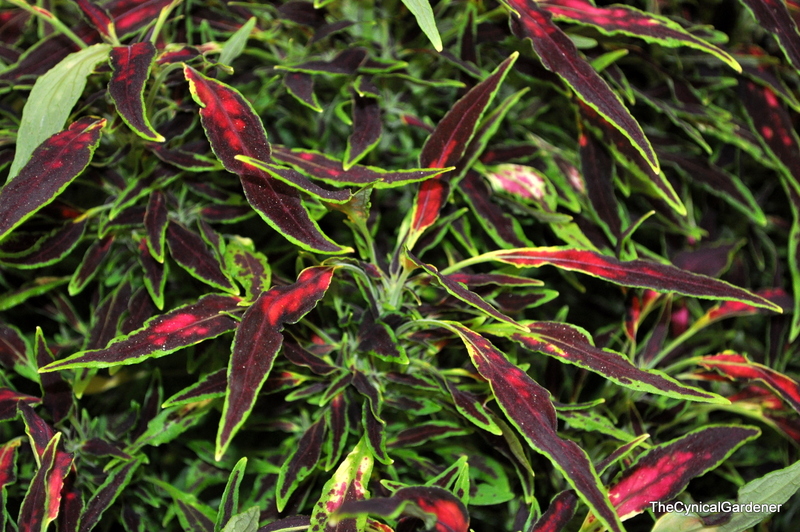 Rudbeckia ‘Prairie Glow’… Been after this plant for years. All in all a very good, if wet day out. Now to plant them all….. if this rain ever stops.! 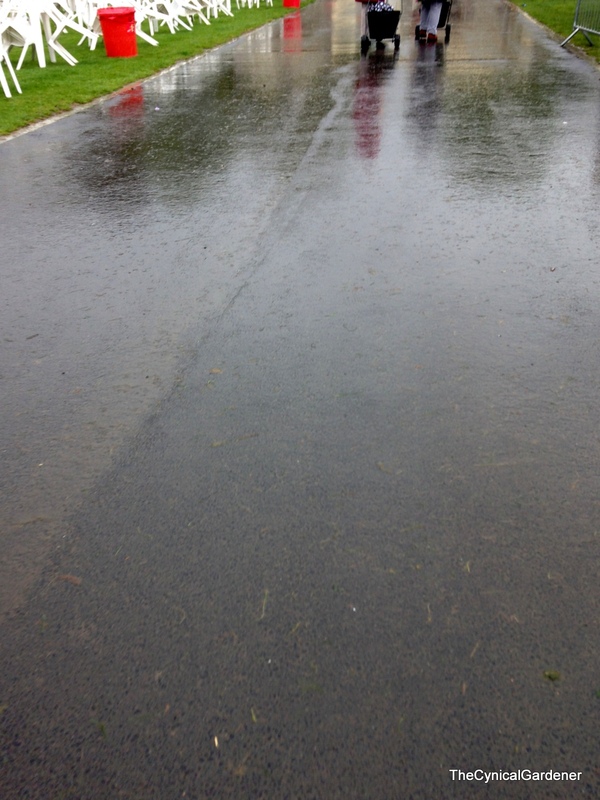 Thank you for the visit to Malvern Show, I almost feel as if I’ve been, but without having to wade through the rain. 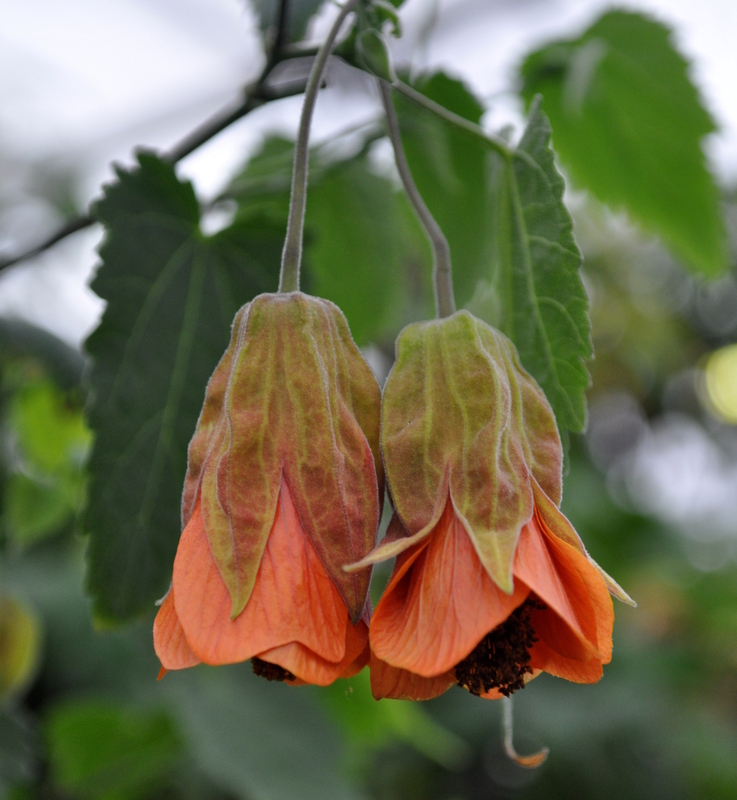 I love your selection of plants, specially the gorgeous Abutilon. June, I visited yesterday, but did not find some of the wonderful nurseries you did, it was my first time and found the layout a tad confusing. 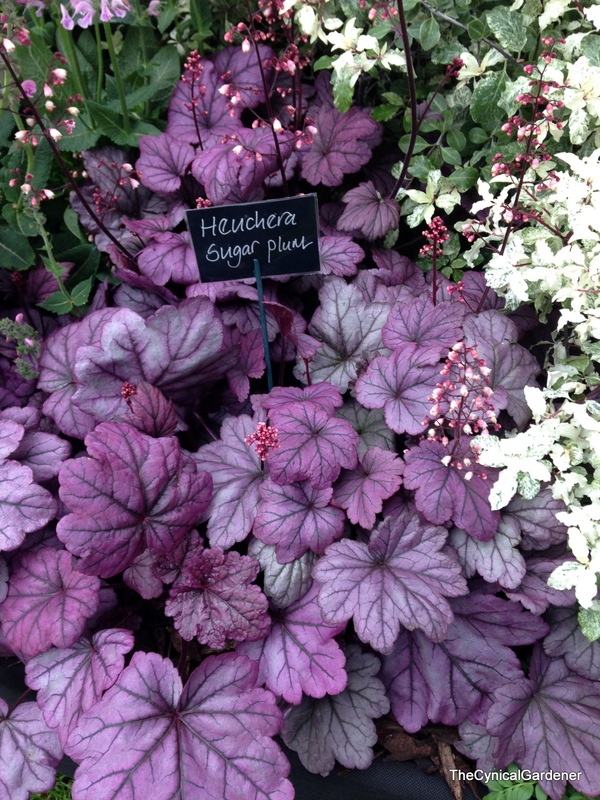 I really like the Heuchera, I could find a home for that one! Sounds like it was worth it despite the rain. I like Tiarella’s and that one certainly does look like it is skyrocketing! Very nice haul June! 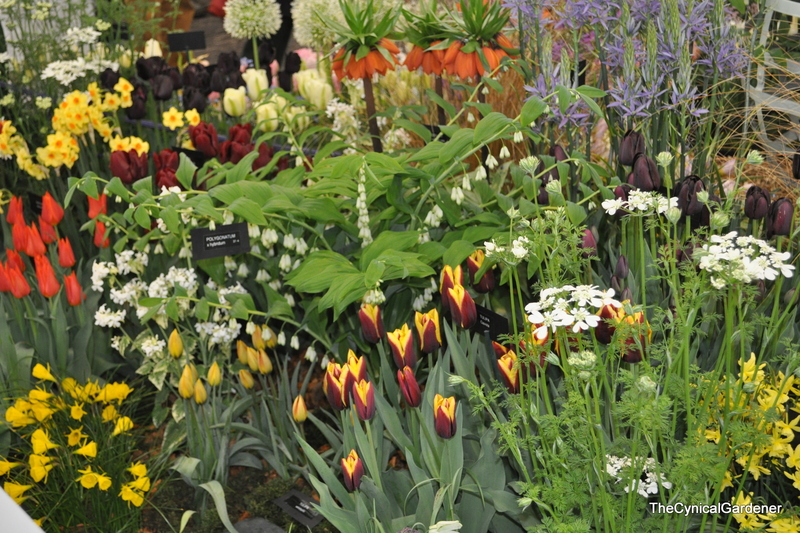 Black Pearl and Sugar Plum looks good, and so is the stand of Avon Bulbs in particular. You would be amazed at the number of people who asked for tulip bulbs yesterday when I was working on Avon bulbs stand! I ended up with two more ferns but resisted a hard sell this afternoon from Bowdens who were trying to off load stock! 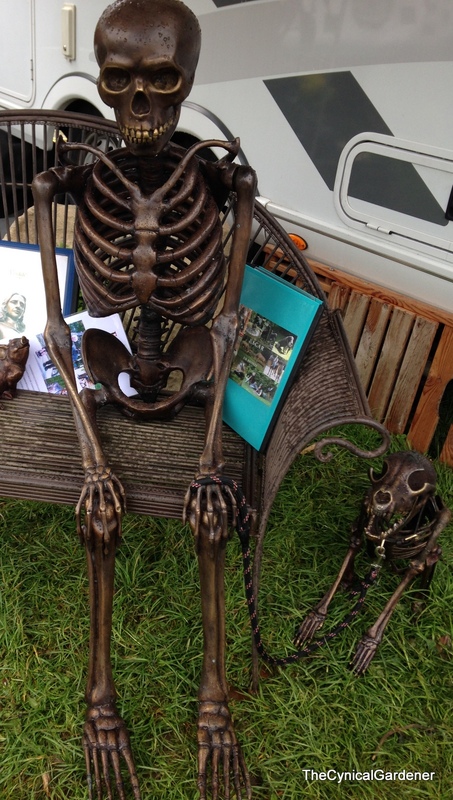 I am jealous, looks like you got some wonderful plants and had a great time in spite of the weather. 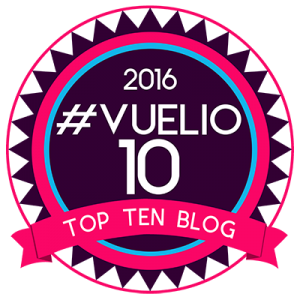 Maybe next year …..